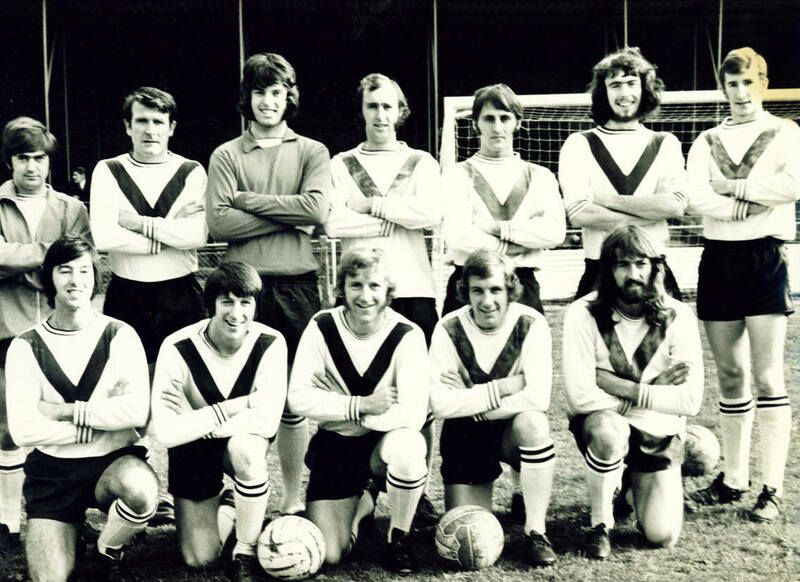 Dover Reserves:- taken on 30th.October 1971, before the 4-0 win against Bexley United Reserves at Crabble. Back row (left to right): Howard Moat, John Arnott, Keith Bowley, Barry Gould, Vern Mockl, Roger King, Malcolm Culver. Front row: Brian Dyer, Chris Hamshare, Bev Hubbard, Willie Duncan, Micky Izatt.